Do you want to pave the way for a rewarding future in thriving industries? Take your first steps towards your career at South Staffordshire college and open up a world of opportunities. Whether you’re planning a career in cybersecurity or animal science, engineering or business management, at South Staffordshire College, you don’t just follow your passion – you become an expert in it. Whatever you choose to study with us, you will boost your earning potential and open up a world of opportunity in the industry you love. Receive hands-on, practical training, delivered by expert staff and gain real-world experience and professional skills that employers demand. You will have access to a host of specialist facilities including performance, music, and film production studios, a working farm, on-site zoo and equestrian center, an advanced manufacturing and engineering hub, hair and beauty salons and much more. As well as having all of this at your fingertips at the college’s campuses in Tamworth, Lichfield, and Rodbaston, if your course is awarded by one of the college’s partner universities, you’ll also have access to all of their facilities too. If you are looking to progress on to a full-time level 3 course then look no further. 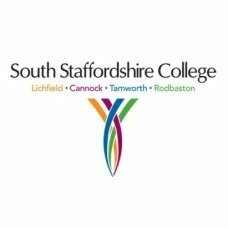 With opportunities in health and social care, childcare, sport, travel, and tourism, performing arts, digital media, engineering technology, animal care, construction, agriculture, business management and many more, whatever your career ambitions, South Staffordshire College has something for you. For those who would like to gain a qualification but also earn a salary, the college also offers a wide range of apprenticeships that start throughout the year. The perfect way to gain practical experience in the workplace as well as recognized qualifications, apprenticeships are available at a variety of levels, including intermediate, advanced and higher. Just like other employees, as an apprentice, you’ll be entitled to a range of benefits including paid holiday. Working in partnership with Staffordshire University and the University of Wolverhampton, the college offers a wide range of qualifications, from HNDs and Foundation Degrees to BA and BSc Hons. You can choose from a variety of courses in subjects including animal science with animal behavior, event management, music performance technologies, film and television production, engineering, musical theatre, computing science and many more. For those looking for complete flexibility, you can choose to study some courses on a part-time basis. Delivered on various days or evenings throughout the week, this mode of study is the ideal choice for those who want to fit their learning in alongside other commitments. Best of all, with fees that are often over £2,000 lower than most universities, higher education has never been more accessible. If you need help with funding your studies, the college’s dedicated support team are on hand to help you explore your options. Why not take your first steps towards achieving your ambitions! To find out more about the full range of courses and apprenticeships on offer, visit www.southstaffs.ac.uk or call 0300 456 2424.